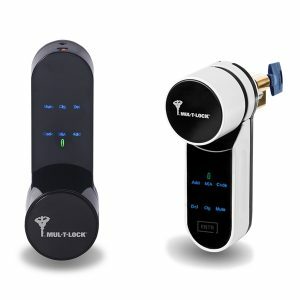 Mul-T-Lock's patented high security key system is the latest and most sophisticated designs security key platform, provides a complete high security with key control in a simple solutions. 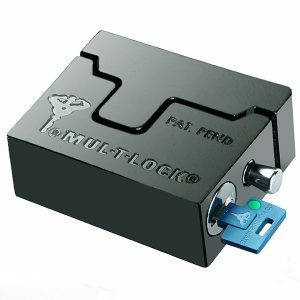 Mul-T-Lock's advanced key solutions offer the key owner a complete control over their key system, include solutions that never seen before in any other mechanical key system in the market. 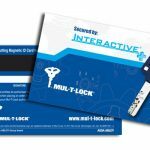 Mul-T-Lock offers the latest restricted and patent key system “Interactive+”, patented till 2028 and it’s only available at select authorised Mul-T-Lock dealers. Mul-T-Lock implements a strict key control procedure to protect against unauthorised key duplication. 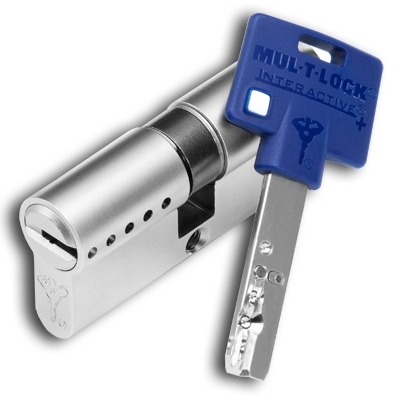 Mul-T-Lock “Interactive+” patented key system provides high security and protection where you need it. And since a single key can fit into all locking products, you’ll have the convenience you want. 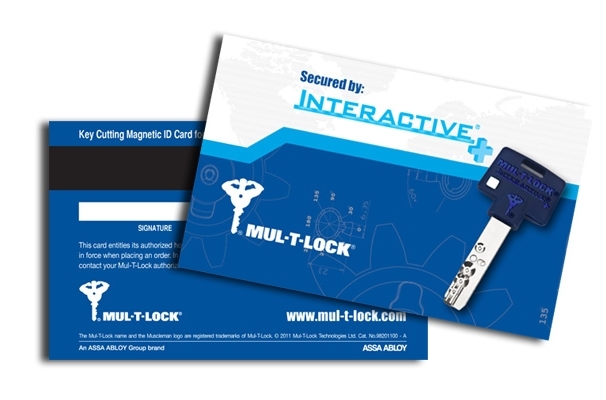 All Mul-T-Lock patented keys come with a card that is necessary for key duplication. This is an authorisation card, which serves the purpose of proving that you are authorised person to obtain duplicate keys. Anyone attempting to make keys without possession of this Key Order card will be refused. 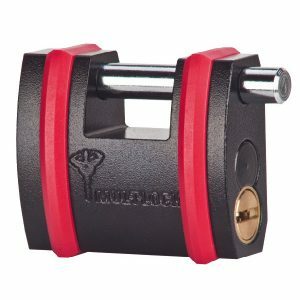 So you can rest assured that Mul-T-Lock’s high security protection covers all the bases – offering strength, durability, superior pick and drill resistance and ultimate key control with every cylinder. 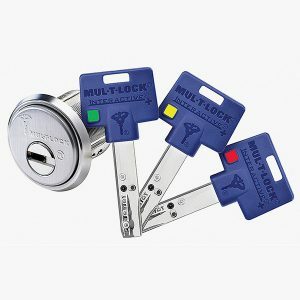 Mul-T-Lock service centre. Additional keys may be purchased by presenting your Key Order Card to the dealer at the time of purchase. To locate a local dealer close to you, please give us a call or go to our Contact Us page.